THURSDAY, Aug. 2, 2018 -- The C-509T allele in the promoter region of transforming growth factor β (TGFB1) is associated with radiation-induced breast fibrosis risk among patients with early-stage breast cancer, according to study published online July 19 in JAMA Oncology. Aaron J. Grossberg, M.D., Ph.D., from the University of Texas MD Anderson Cancer Center in Houston, and colleagues examined the correlation between the C-509T variant allele in the promoter region of TGFB1 and breast fibrosis three years after radiotherapy in a cohort study nested in an open-label, randomized clinical trial that compared hypofractionated whole-breast irradiation (WBI) with conventionally fractionated WBI. Two hundred eighty-seven women aged 40 years or older with pathologically confirmed stage 0 to IIA breast cancer treated with breast-conserving surgery were enrolled and observed for a minimum of three years. TGFB1 genotype and three-year radiotherapy-induced toxicity data were available for 174 patients, 51 percent of whom had at least one copy of C-509T. 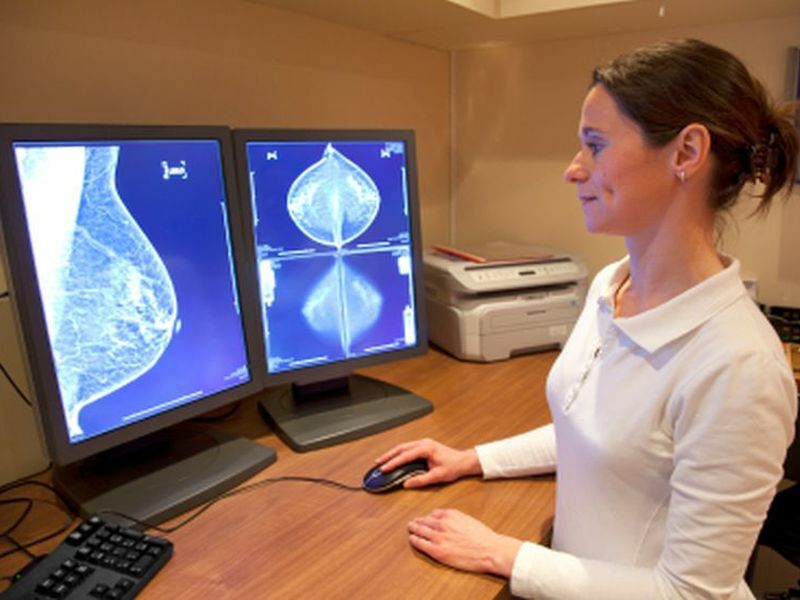 The researchers found that 13.8 percent of patients with C-509T and 3.8 percent of those without the allele variant had grade 2 or higher breast fibrosis. In multivariable analysis, the only factors significantly associated with breast fibrosis risk were C-509T and postoperative cosmetic outcomes (odds ratios, 4.47 and 7.09, respectively). "The C-509T allele in TGFB1 is a key determinant of breast fibrosis risk," the authors write. "Assessing TGFB1 genotype may facilitate a more personalized approach to locoregional treatment decisions in breast cancer."